Most of the roster for the next Dota 2 Major has been decided as qualifiers come to an end. After a weekend of intense competition across every major Dota 2 region, 15 teams are ready to compete in the MDL Disneyland Paris Major. Many of the usual suspects conquered their regions once more in order to appear in the next Dota Pro Circuit event. Starting in Europe, Team Secret once more reigns supreme. 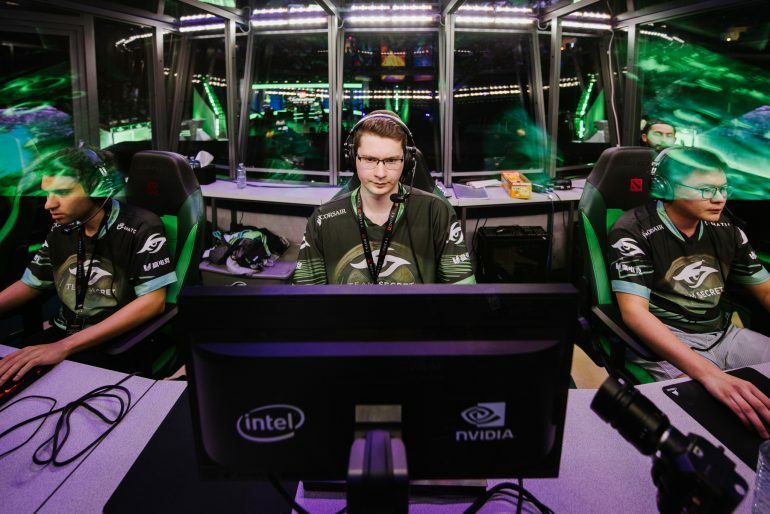 The former top team in the DPC was dethroned by Virtus Pro following DreamLeague Season 11, but they still managed to claim the top seed in their stacked region. They are joined by Team Liquid and OG, two other prominent teams who are very close to locking in their position at The International. The CIS only had two slots available for their region, and Virtus was the first to claim one of those spots. It was a hard-fought region, with teams like Gambit Esports and Natus Vincere falling just short of the Major. In a surprising turn of events, it was Team Empire and their recently reinvented roster that pushed Virtus the furthest. They bested Na’Vi in the lower bracket to claim the second spot in what will be their first DPC appearance of the season. Keen Gaming continues to impress, taking China’s top spot after a dominating victory over the recent Major winners, Vici Gaming. LGD Gaming would similarly best Newbee to take the second slot while Vici was forced to slog through the remains of EHOME and Royal. They did, however, manage to make into their second consecutive Major, this time without needing to go through the Minor. There were no surprises out of Southeast Asia; both Fnatic and Mineski cleaned up the bracket with only TNC Predator really giving either squad a challenge. South America was the first region to have one of its biggest teams not claim the top spot as Chaos Esports Club fell to a recently-formed stack, Butterfly Effect. Following their top placement, paiN Gaming announced that they would be formally signing them under the team’s banner after helping them prepare prior to the qualifiers. Chaos proceeded to trounce Infamous in the lower bracket to take the second seed. The final region to conclude their qualifiers was North America, with one of those spots getting snapped up almost immediately by the region’s top team, Evil Geniuses. The rest of the field included teams with DPC experience like Forward Gaming and J Storm, while also hosting talented rosters like compLexity and Team Team. CompLexity was the next squad to achieve success; they punched their ticket to their first Major this season. That left several talented squads battling it out in the lower bracket for what would be the last of the 15 open slots. The third and last spot in NA goes to Team Team! Congratulations to them for the qualification to the #MDLDisney Major! See you this May in France! J Storm fell early on, leaving a recovering Forward roster to battle TT, who just added arguably one of the best—and controversial—players in NA, Jacky “EternaLEnVy” Mao. It was a tough back-and-forth for both sides, but eventually TT pulled it all together and will now be attending the team’s first Major. With the qualifiers wrapped, the only spot remaining for the MDL Disneyland Paris Major will be claimed by the winner of the OGA Dota PIT Minor 2019. The qualifiers for the Minor have already begun and will allow eight teams to have one last chance at the Major stage. For those teams competing at Disneyland Paris, the prize pool is the usual $1,000,000 and 15,000 Pro Circuit Points and by the end of the event, several teams will likely have qualified for TI9.